Home / Super Screener Results / What We Learned This Weekend – Recap! With the scratch of the lone pace horse, La Sardane, Oscar Performance had an easy time of it on the front end as he went on to victory. In fact, the top two finishers went around the track as a pair, never changing position. As a result of this merry-go-round run race, losers never had a chance which should be noted when evaluating it as a prep for the Breeders’ Cup Mile. 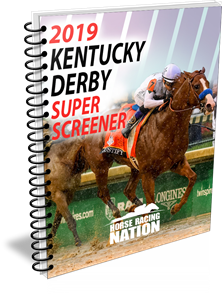 The Super Screener Top Value play, Stormy Antarctic, did finish third at odds of 15-1 and he may have run the best race of this bunch. Gets overlooked, again, next time out. There’s no question about it…the Super Screener Top Board Hitter and Top Win pick, Tight Ten, ran the best race here. The pace, while it may not have been very fast, was very pressured and any one running with Tight Ten early was nowhere to be found late. Not taking anything away from the winner, Cairo Cat, who closed from mid-pack as the top pair were well clear of what was, in the end, a pretty weak field. Note that the top two finishers both exited their last race from Saratoga. Tried to go contrarian here but Serengeti Empress showed no sign of regression off that explosive victory last out and put on quite a display, winning this one by nearly 20 lengths. Doesn’t say much about the rest of this field, though the Super Screener’s Top Win pick, Splashy Kisses, did finish a clear 2nd but after that it was random chaos for the remaining positions. He did it again and we should have respected him more off last year’s win. Johnny Bear took advantage of the pressured pace, saved ground throughout and stayed on that rail for a narrow win over the Super Screener Top Win pick, Mekhtaal. The Super Screener Top Long Shot pick, English Illusion, went from last to 3rd at monster odds of 34-1 proving his last win for the new barn was no fluke. Tiz a Slam and Hawkbill exhausted themselves battling each other throughout and both faded to the back half of the field. Give Tiz a Slam extra credit for this effort. Markitoff ran a sneaky good race here sitting close enough to the pace but continuing on with energy. Watch for this one to finally break through in his next race especially if he gets a cutback in distance. The stakes spotlight turns to Parx this Saturday as both the G1 Pennsylvania Derby and G1 Cotillion races will headline a stakes-rich card. Belmont Park will also feature the G2 Kelso Stakes. Next Story → Super Saturday Recap – What It Means for the Breeders’ Cup!